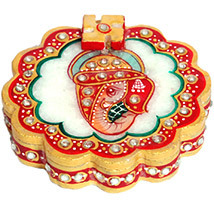 Send Dhanteras Gifts to India : FREE SHIPPING!! 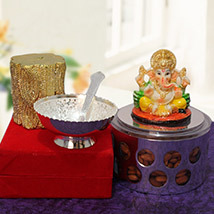 Exclusive Dhanteras Gifts to Explore Here! 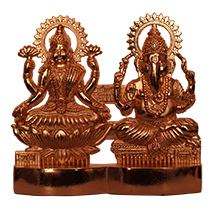 Before two days of the grand Diwali celebration it is the time for all to celebrate the auspicious festival of Dhanteras that is known as a popular day to buy auspicious or things made of metal. 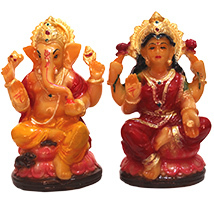 So if you are planning for a grand celebration time on this Dhanteras day then what are your plans to gift and greet your dear ones? 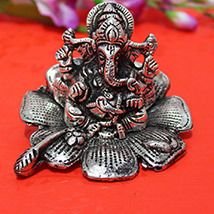 Feeling confused over the thought? 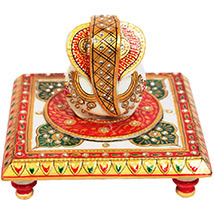 Well don’t be as now you are at the perfect place to explore an amazing collection of Dhanteras gifts to buy online at attractive price. 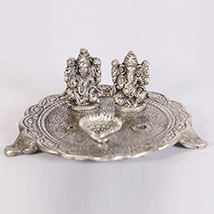 Here it is the exclusive range of Dhanteras Gifts online to help everyone in choosing the best one and surprise dear ones with something purposeful and valuable. 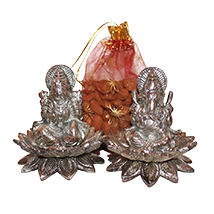 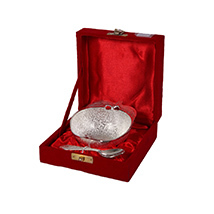 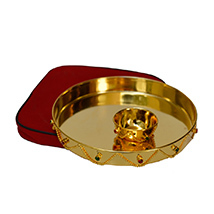 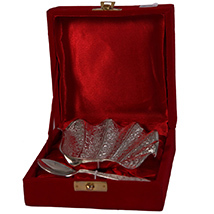 Here in the range there is ample number of options to choose, buy and Send Dhanteras Gifts to India. 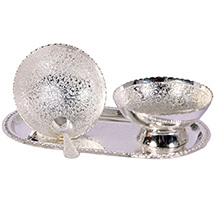 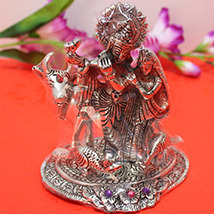 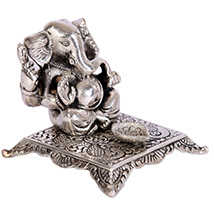 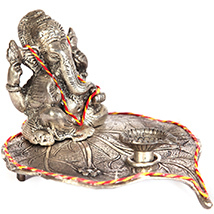 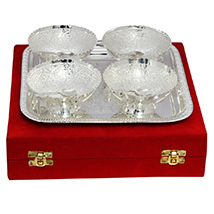 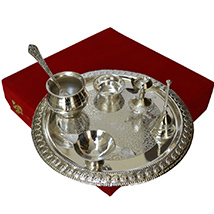 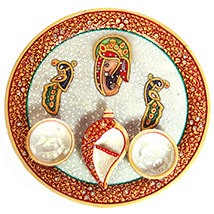 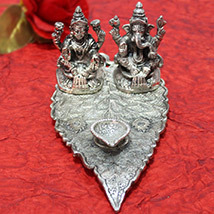 These are Bright Diwali Gift, Diwali Bumper Tray, Glorious Ganesha, 5 in 1 Decorative Ganesha, Antique Designed Silver Brass Plated 2 Bowl set With Spoon and tray, Decorative Ganesha Idol, Divine Set Of 2 Pooja Thali, Silver Plated Apple Shape Bowl, Silver Round Bowl- JO102SH, Silver Standing Diya, Silver Tea/ Coffee Set-Q4607, LP 432 Gold Plated Ganesha, Set of 4 Rose Cut Bowls, 24 Kt Pure Gold Leaf Ganesha, Attractive silver Plated 3 Bowl Set with Spoon and Tray, Designer Silver plated Bowl Set with Wooden Swastik and much more to explore and choose from. 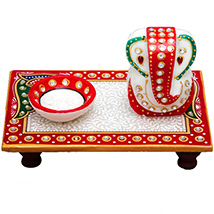 So hurry now to place order, right here!